Created in June 2007 for the sale of antique and modern picture frames, framing, gilding, picture restoring services, as well as stands and lighting for works of art. Comprising a multi-disciplined team possessing complementary skills, we propose professional and innovative solutions to the projects we undertake. Rigorous in our choice of materials, we work with Cartolina cards, K-Lines, paper decorative strips, all acid-free. 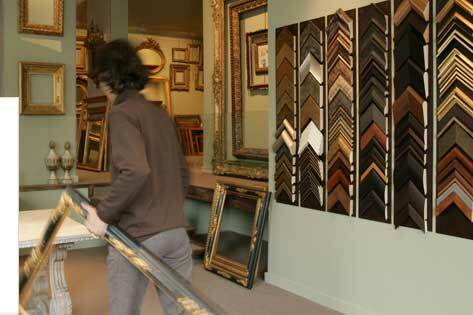 We always recommend the use of museum glass for framing when justified, because of its unique qualities of transparency and ultra-violet protection.